Continuation high schools serve a very vulnerable group of young people who are often considered at-risk because of various challenges in their lives, including family disruption, mental health issues, substance abuse, violence and aggression, and other nonacademic barriers (de Velasco et al, 2008). Many youth arrive behind in the credits needed for graduation, lacking fundamental academic and organizational skills, and are disengaged from school, their communities, and positive adult role models. Nowhere is the opportunity for afterschool learning more important than in continuation high schools. Many of these youth face a number of challenges in their lives and are often highly disengaged, having failed in and been failed by the traditional school system. These youth clearly need more – more caring adults who know them, more ways to complete the requirements for graduation, and more preparation for life after high school. Afterschool programs that model the Learning in Afterschool learning principles are well positioned to help this population of youth as well as the continuation schools that work to serve them. 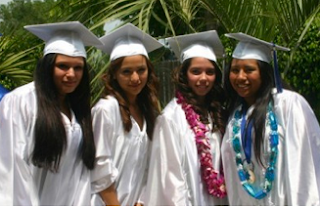 In Going The Extra Mile, we focus on the potential of afterschool programs to serve the multiple needs of older youth in California continuation high school settings. We begin by offering an overview of continuation high schools in California. We next provide a description of afterschool programs currently operating using the 21st CCLC funds. We rely on an interview with a program supervisor who oversees several programs in the Bay Area and a survey of programs across the state, which we conducted as part of our research. In a Case Study: The SPOT Program at Ralphe J. Bunche Academy, we profile one continuation high school afterschool program and provide interviews we conducted at two different afterschool programs at continuation high schools. For a video produced by a Bay Area afterschool program serving older youth in a continuation high school setting, click here. For more research and resources on continuation schools, click here.